Area 249 A. 2 R. 32 P.
Mary Biggins Mary Biggins Private dwelling with 2 rooms. Michael Moghan Michael Moghan Private dwelling with 2 rooms. Walter Monaghan Walter Monaghan Private dwelling with 2 rooms. Mary Duddy Mary Duddy Private dwelling with 2 rooms. Mary Walsh Mary Walsh Private dwelling with 2 rooms. Mary Madden Mary Madden Private dwelling with 2 rooms. Mary Hession Mary Hession Private dwelling with 2 rooms. Click on the Griffiths Valuation Page # 155 to see a list of tenants with plot numbers to match the Griffith map. The map has each renters plot numbered and recorded in the Valuation book so the exact location of your ancestors plot can be ascertained. 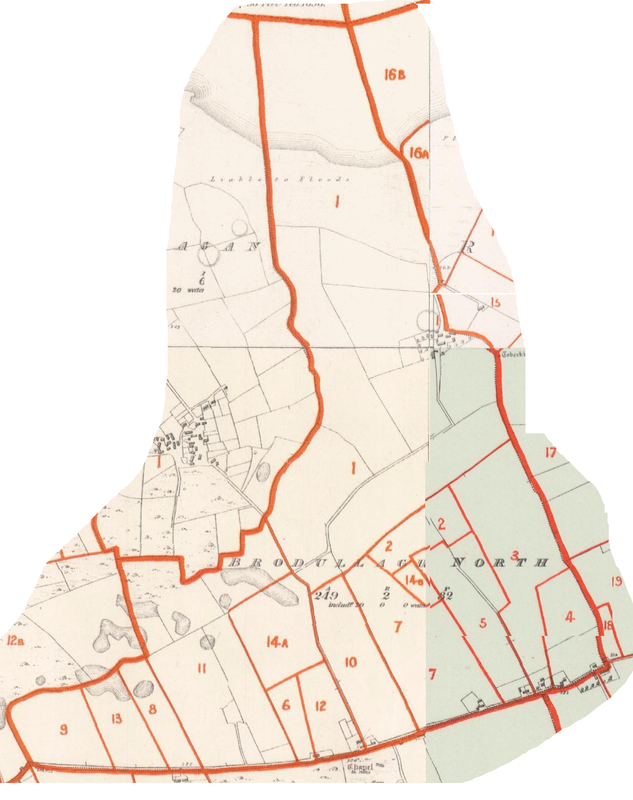 Click on the Griffiths Valuation Ballinrobe Page # 155 to see a list of tenants with plot numbers to match the Griffith map. td. ; and on the N. by Mocollagan td. ancient fort in this td. tds. of Cloonbanaun and Kinlough; and W. by Carrowoughteragh td. with a cave in it. The tenants on this td. are all Catholics.